Controversial Arab-Israeli musician Tamer Nafar of the rap group DAM released a music video Wednesday urging members of his community to vote in upcoming Knesset elections, despite widespread ambivalence. Much of the song — presented in a video as dueling egos — addresses feelings of disenfranchisement in Arab communities, where voting rates are typically several points lower than among Israeli Jews. Among Nafar’s reasons for not wanting to vote are what he describes as government neglect of Arab communities. “Did they deal with poverty? Did they bring us schools and jobs? After all, we only see them during elections,” he raps. A recent study showed that Arab turnout may be slightly higher this year, with over 73 percent of respondents saying that plan to vote. In 2015, 63.5% of eligible Arab voters cast ballots, compared with 76% among Jewish voters. Both Prime Minister Benjamin Netanyahu’s Likud and the Blue and White parties have ruled out forming a coalition with Arab parties after elections. Netanyahu has been accused of race-baiting by campaigning on the idea that his opponents will forge a deal with Arab parties. Nafar raps, though, that a higher Arab turnout will help remove Netanyahu and other right-wing parties from power after a decade at the helm. “If our vote will erase Liberman, imprison Bibi, then we’re ready,” he says, referring to Netanyahu by his nickname and to Yisrael Beytenu’s Avigdor Liberman. “So tell Bennett, tell Shaked that I’m not moving… tell Kahane’s cronies that I’m not moving. I wanted to boycott but decided that I don’t want to stay outside,” he says, addressing right-wing politicians Naftali Bennett and Ayelet Shaked of the New Right and likely referring to the extremist Otzma Yehudit party. “It doesn’t make sense for me to give up a tool when I hardly have any tools, so I’m going to vote,” he says at the end of the song. Nafar grew up in the 1990s in the mixed Arab-Jewish city of Lod idolizing and drawing inspiration from controversial American rapper Tupac Shakur. 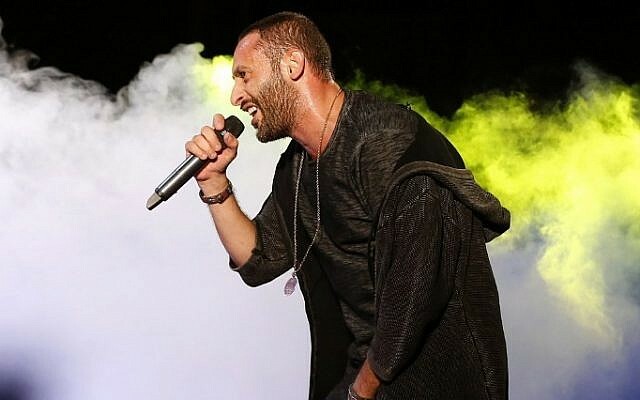 He and his rap group DAM have clashed with Culture Minister Miri Regev and other right-wing Israelis, who say that some of his songs provide justification for terrorism. “During every crisis they stood and presented my pain and yours. When Miri tried to get me off the stage, they stood with me,” he raps, likely referring to liberal Jewish Israelis who have supported him.